Whether you are looking for a relaxing day on the water, or a fun day in the sun, we have the perfect boat for you. 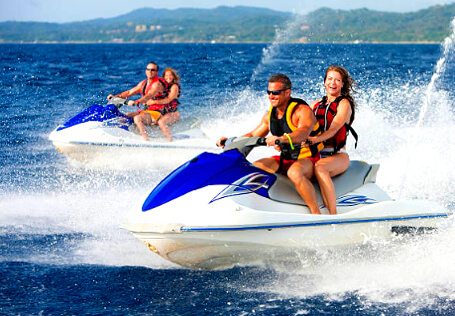 We offer tritoons, wave runners, ski boats, kayaks, and paddle boards. Contact us today, and let’s get on the water! Welcome to Lake Don Pedro Marina, a recreational gem in the Sierra Nevada foothills of the Stanislaus National Forest, near the communities of Moccasin and La Grange, and bordering the northwestern corner of Yosemite National Park. This beautiful reservoir is situated in a canyon carved out by the Tuolumne River with several tributaries draining directly into the lake allowing the water levels to remain high as well as comfortable water temperatures. At Don Pedro you’ll find nearly 160 miles of shoreline as well as excellent fishing opportunities year-round. Boating and water sports of all types are also popular across the lake including houseboat rentals available at two Suntex marinas on the lake: Lake Don Pedro Marina and Moccasin Point Marina. There’s much to explore on Lake Don Pedro, so what are you waiting for? We look forward to seeing you out on the water! A place where family, friends and boating can come play in the same water. Rent a boat, join the Boat Club, or buy. Join our circle and find your place in the sun!